Every cold winter, when most lakes freeze completely, you can find quite large groups of Grey Herons (Ardea cinerea) in certain areas. When food becomes scarce, the herons become quite approachable and are also happy if yu toss them a little fish. Obviously this situation has great photographic potential. 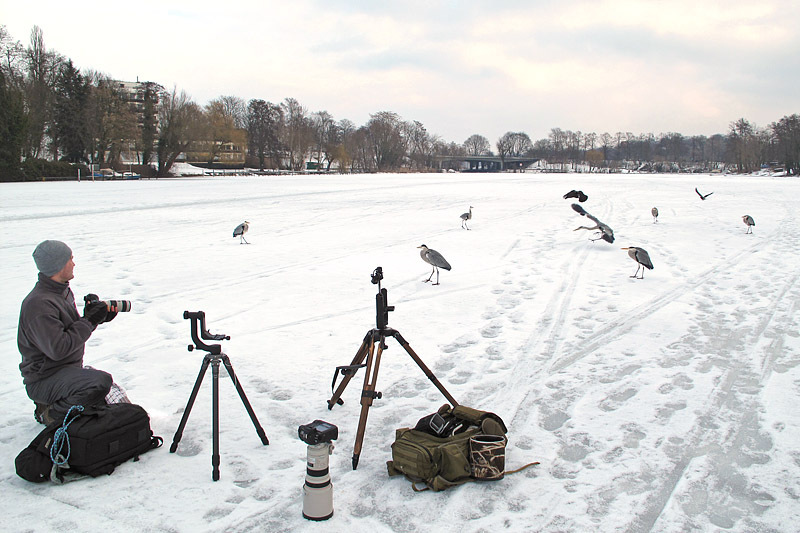 In February 2010 I spent almost every day during a very cold period on a frozen lake trying to capture unique Grey Heron images. 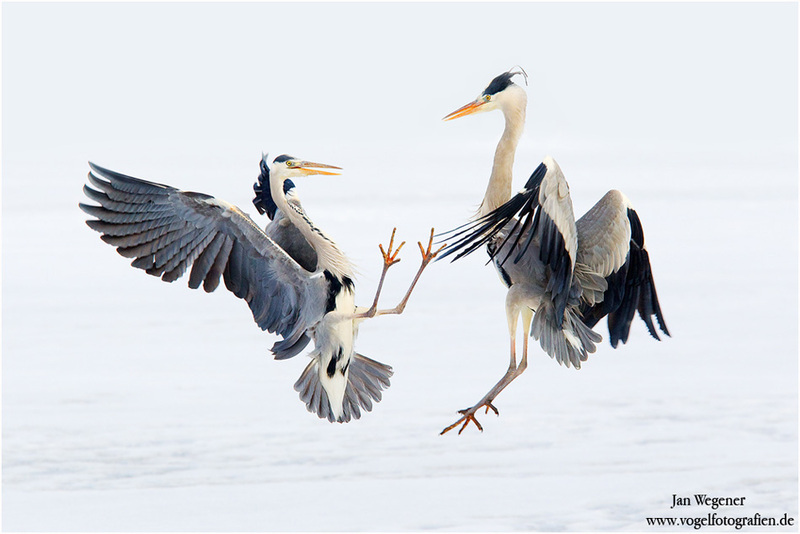 Every time I threw a small fish on the ice, 5-6 Grey Herons would fly in and fight for it. Most of the action only lasted a few seconds, so I had to be prepared to fire away as soon as the herons came in. I tried to position myself in the middle of the lake, so that I would get as much of a distant background as possible.